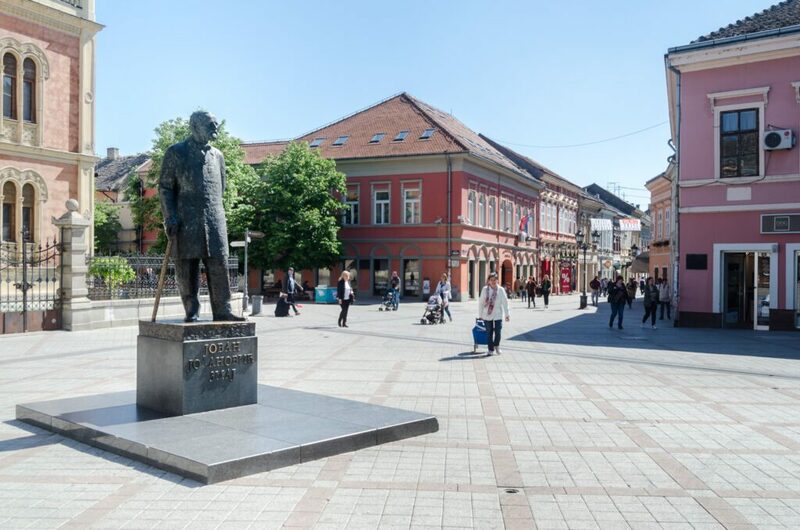 The figure of Jovan Jovanovic Zmaj (born in Novi Sad in 1833 – died in Sremska Kamenica in 1904), Serbian poet and doctor, is actually a monument that celebrates his character and work, located in the center of Novi Sad, in the main pedestrian zone. Zmaj has spent his entire life writing songs and therefore he wrote two most famous collection of poems “Đulići” and “Đulići uveoci”. He wrote children’s poetry, political, satirical and lyrical poetry. 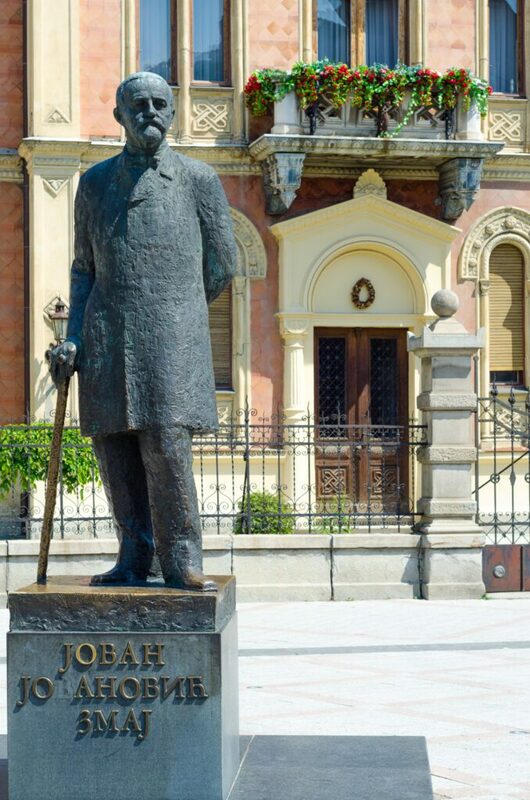 The monument is made of bronze in human size and placed on a base of granite from Jablanica, where his name is carved. It is 230 cm high and the author is a Belgrade sculptor Dragan Nikolic. The monument is located at the end of Zmaj Jovina street, in front of the Bishop’s Palace, since 1984, when it was completed.